Results for Product Code "MX-A-SPCA-H"
MOBOTIX offers three different covers with an integrated camera mount for the MxSplitProtect Installation Box to further simplify the installation of the camera and to protect the RJ45 sockets from direct access. 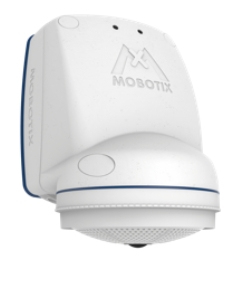 A MOBOTIX AllroundDual or Allround camera with a standard VarioFlex wall mount or a MOBOTIX Hemispheric or Dome camera can be mounted to it either horizontally or vertically with a 15° tilt. If there is already a pole mount of an in use, it can also continue to be used for the MxSplitProtect. The MxSplitProtect can also be used outdoors without this cover, thanks to its robust housing made of UV-resistant PBT-30GF and weatherproof connections for the Ethernet cable (concealed LSA terminal connector inside the housing) and for the MOBOTIX patch cable of the cameras and the MxIRLight.